The One Love Tribal Gathering will be hosting: The Seeds Alliance with Grand father Berito Kuwara Wa & Artist Jose Ismael Polanco. 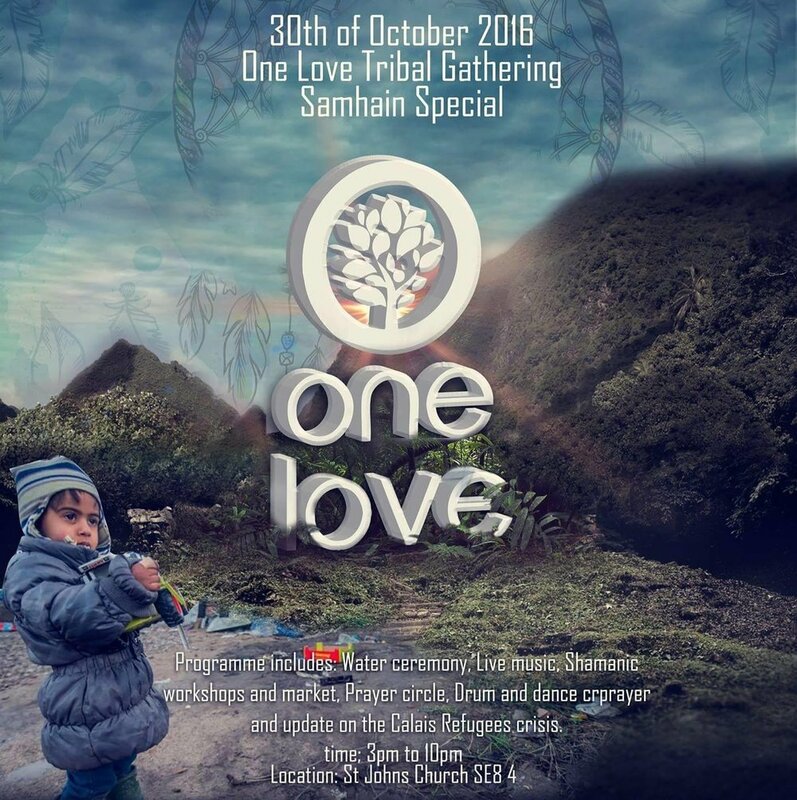 Welcome to our One Love Tribe Shamanic Gatherings! We bring you a celebration of Life, Sacred Connection to our beloved Pachamama, Wisdom Teachings from the Elders, Dancing, Drumming, Sound, Singing and Energy Work. These evenings bring these sacred teachings and ways to the world. The One Love Tribe believe in full energy tribal devotional gatherings, honoring our shamanic ancestry, and connecting on much deeper levels to one another. This is the space you can come to let go, heal, express love, be accepted for who you are unconditionally, learn tribal wisdom, connect as one tribe with your brothers and sisters, release negativity, and dance and sing for your love of Great Spirit and Pacha Mama!!! We live in a beautiful time, a time where humanity is waking up to its connection to something eternal, and to our connection to mother earth. Everything is speaking to us, everything is singing its vibration across creation….and its time to express ours. Whoever you are or wherever you come from on the planet, we all originate from shamanic cultures, so it is everyone's original history and our birthright to practice Shamanism and do what our ancestors have been doing since we incarnated here on this beautiful planet hundreds of thousands of years ago. These tribal gatherings are a celebration of spirit, of life, of beingness, of the Earth, of beauty, of love. Come along and experience the sounds of the underground, with South American and African drummers and shamanic/spiritual singers. This is a chance to welcome back our brothers and sisters from the family of Light; our tribe of many colours. As we step into the times where the ancient prophecies of the rainbow warriors who will take humanity and the Earth to a new consciousness is being fulfilled by You. You are the ones you’ve been waiting for, as we come together and raise the vibration for ourselves and all others. Aho!